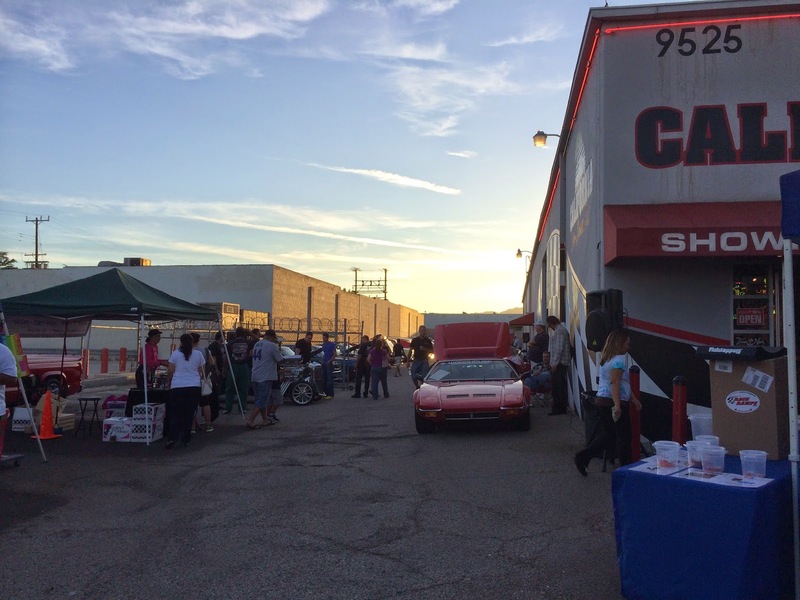 Last night was the 3rd Annual Summer Cruise Night at California Car Cover. This midweek get together has become one of the more popular shows we host during the year. We always host the Cruise Night on a Wednesday evening in August, so once the suns start going down, the classics come out at CCC. 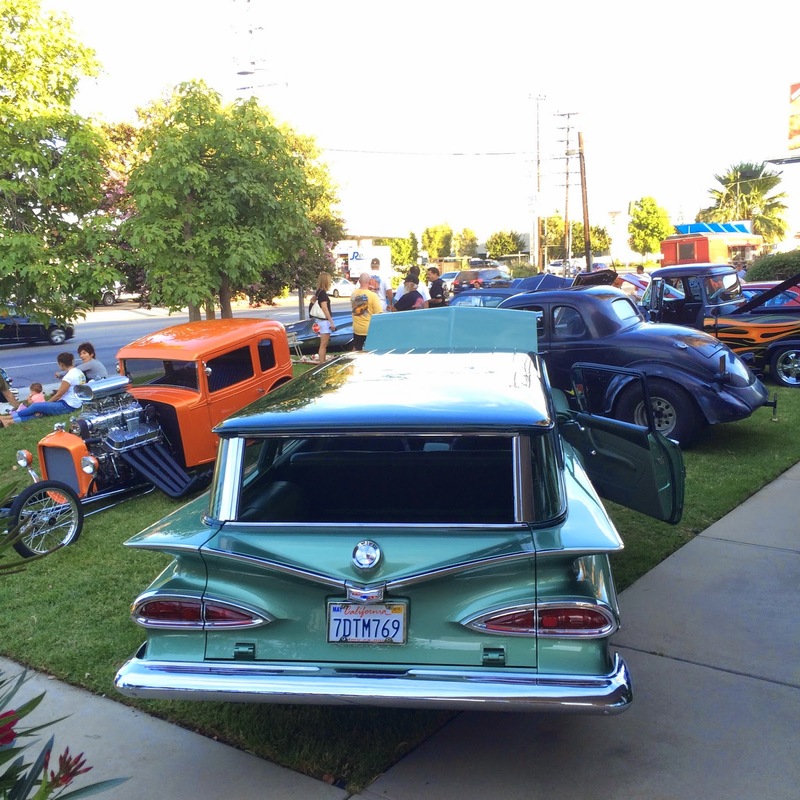 Many of our friends from the Classic Chevys of Southern California were in attendance. 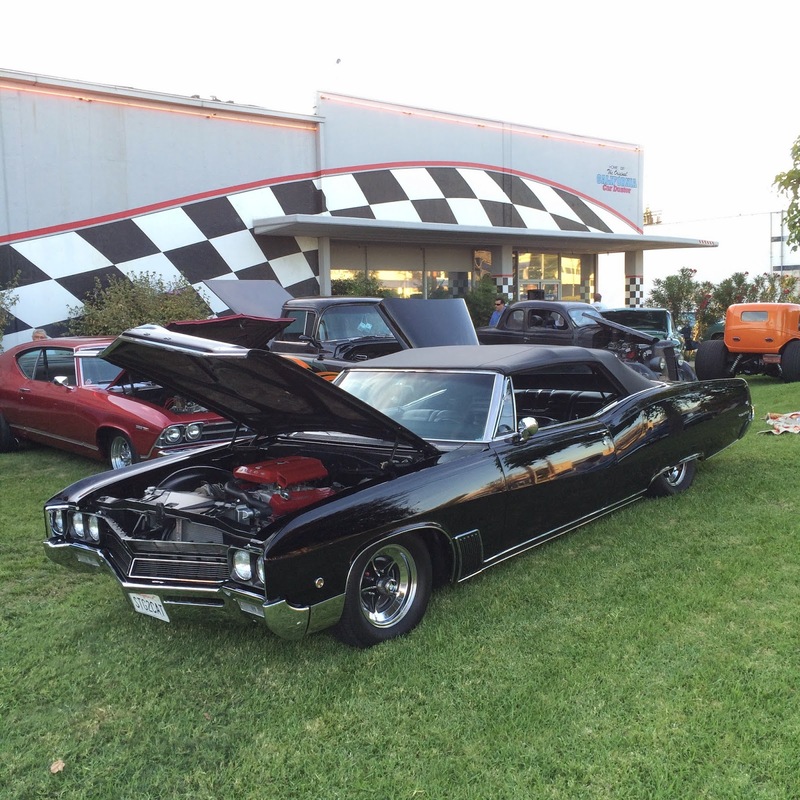 The Cruise Night is open to all makes of classic cars and customs. This means we always get a nice mix of old or new muscle cars, hot rods, customs and much more. Our rear parking lot was filled with a number of custom cars and trucks. 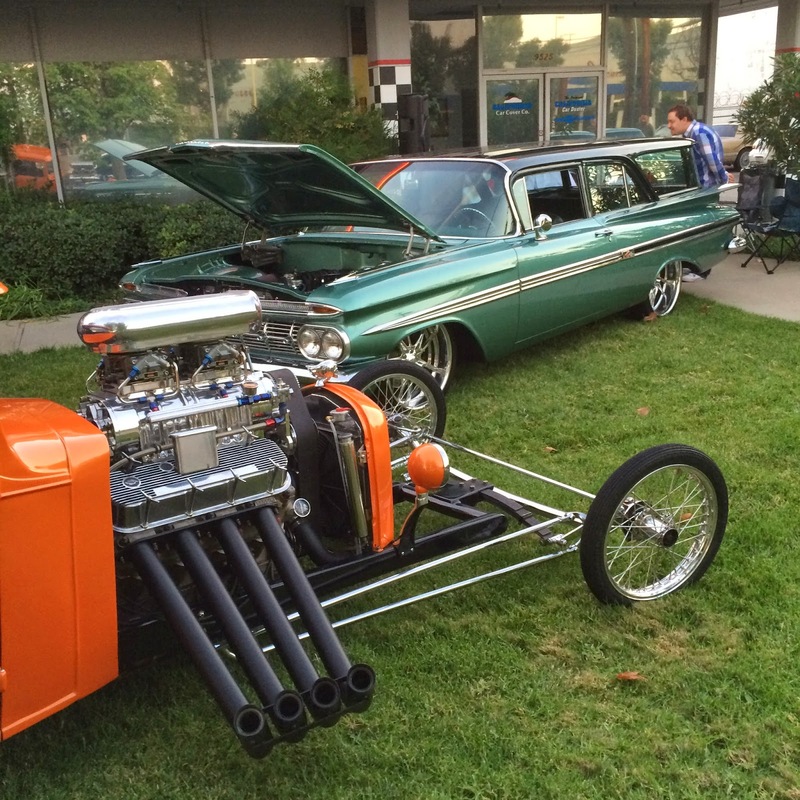 The front lawn at California Car Cover was packed with custom cars all evening. Well before the official 5pm kickoff last night, the front lawn was at capacity with some great muscle cars and hot rods parked on the grass. Clean Mercury on the front lawn. 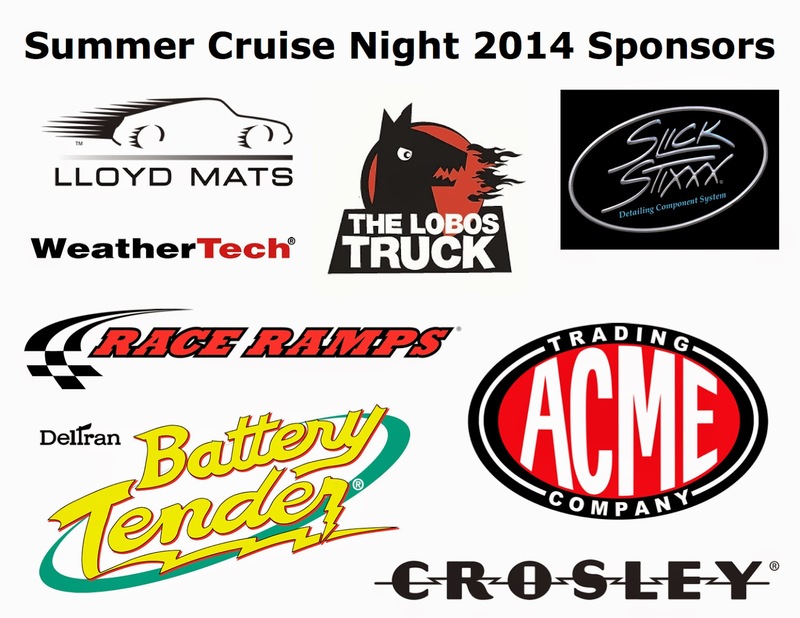 The Summer Cruise Night is free to attend. We do not charge car owners or the general public any fee to participate in the event. 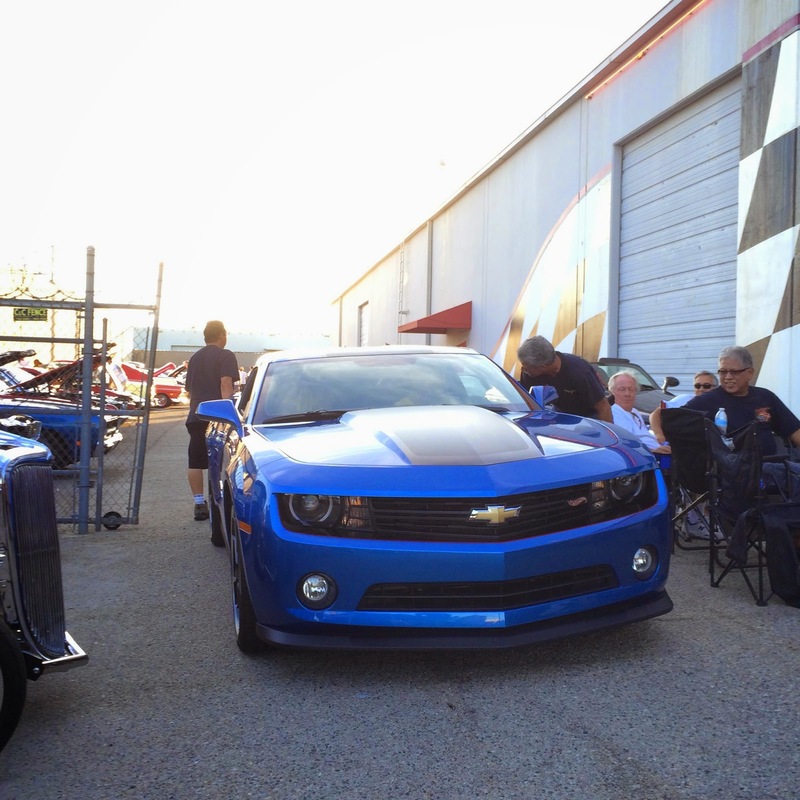 It is just one of the events that we enjoy hosting each year to build the automotive enthusiast community. The show is a great chance to meet and interact with friends and customers. 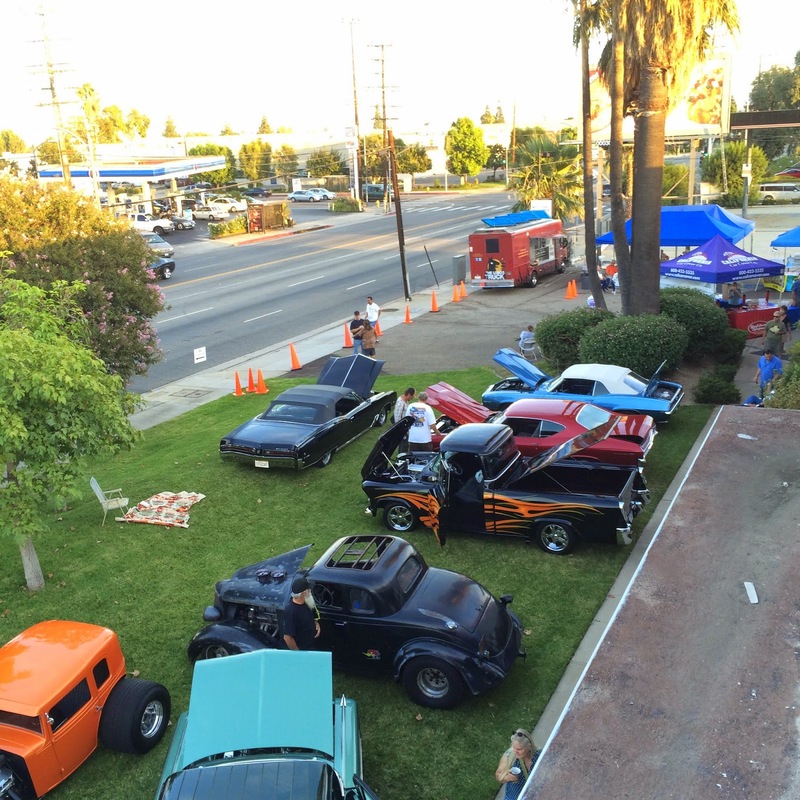 A few shots of the Summer Cruise Night from the rooftop at California Car Cover. Nice VW and Chevy El Camino. 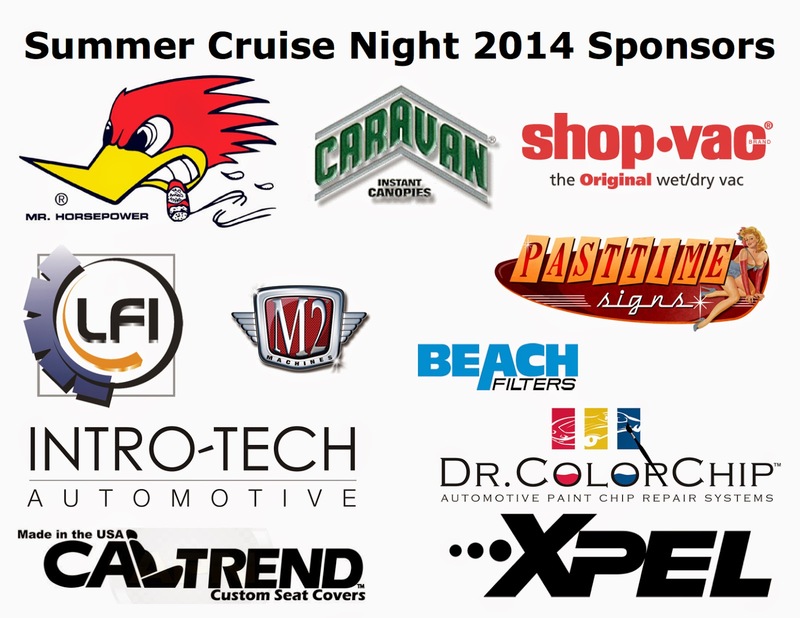 The Summer Cruise Night could not be possible without the help of our great vendors. 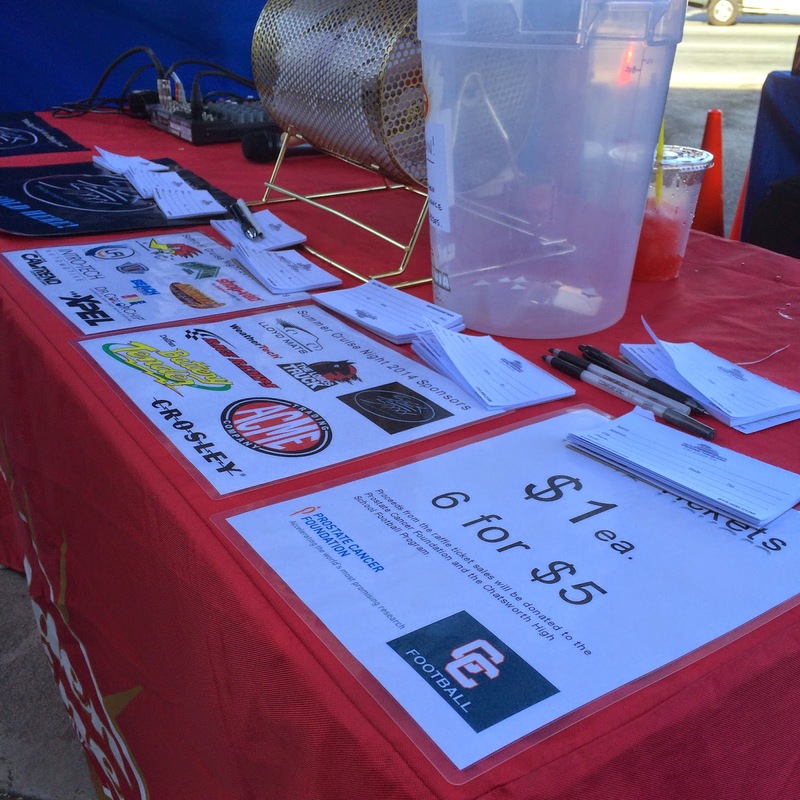 We had a great prize raffle that helped us raise a few hundred dollars for the Prostate Cancer Foundation and Chatsworth High School's Football program. Raffle prizes from ACME Diecast, Intro-Tech Automotive, Deltran Battery Tender, Fairfield Collectibles, Race Ramps, Caravan Canopy and many others all contributed prizes to the show. 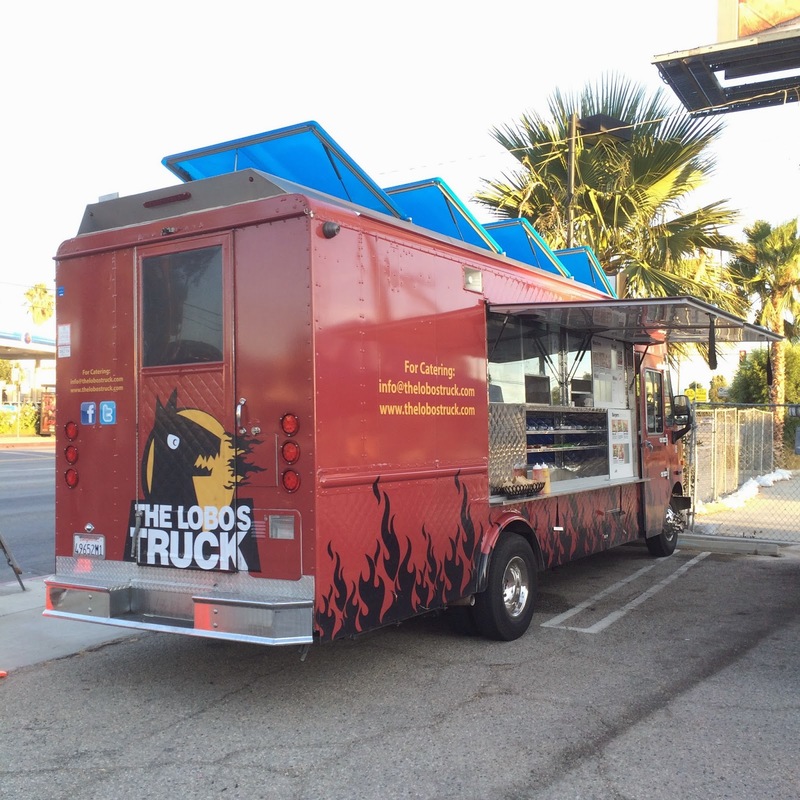 The crew at The Lobos food truck served up killer burgers and waffle fries all night long. Recognize this Buick? 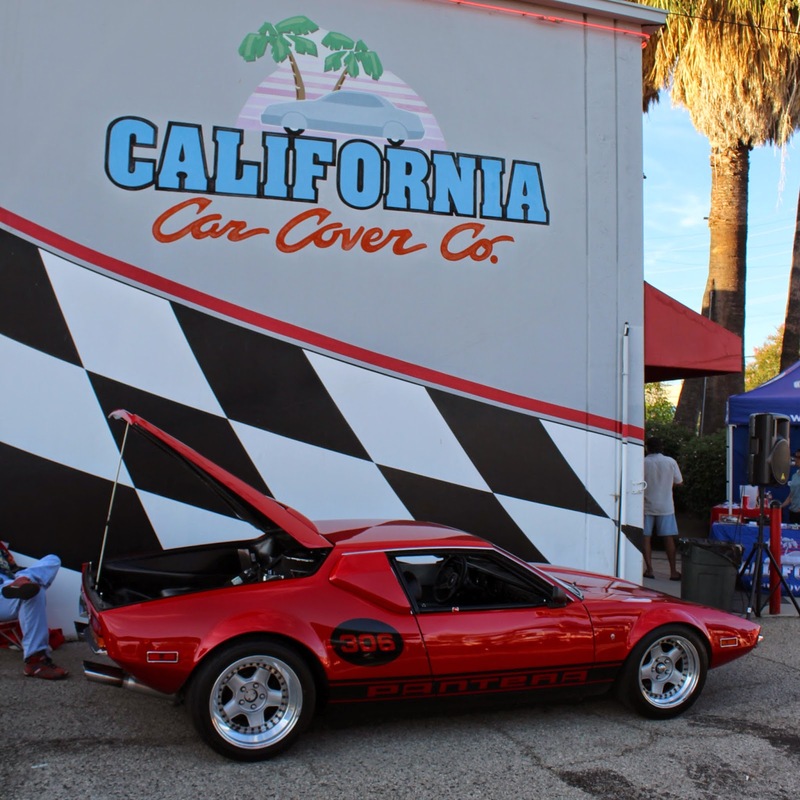 It was featured on one of our past California Car Cover catalog covers. 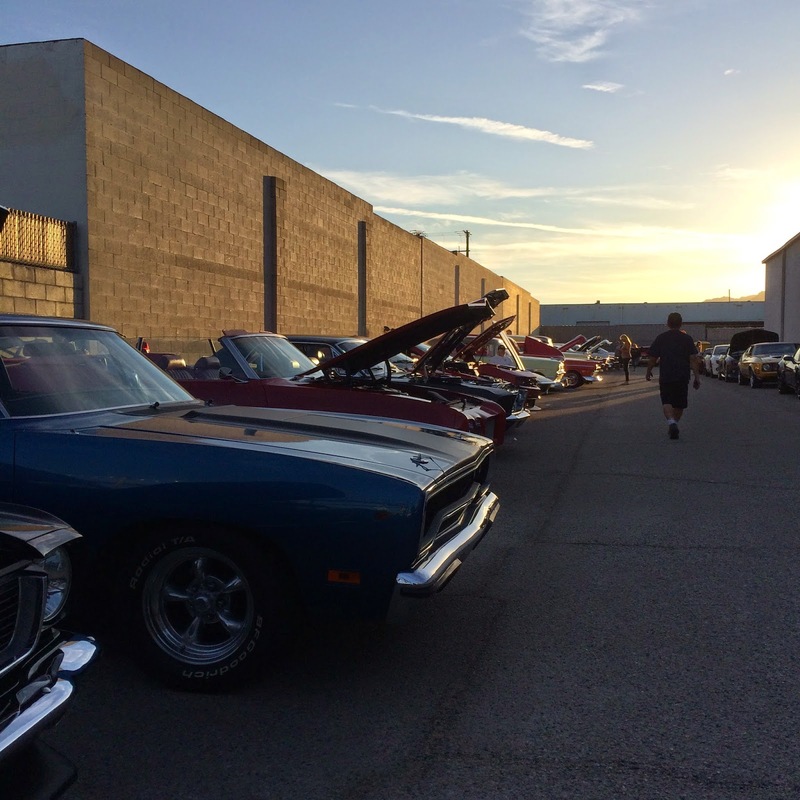 Thank you to everyone who attended our 3rd Annual Cruise Night. It was a great event that we could not host without the support of our local customers, vendors and employees. We hope to see everyone at our two remaining events of the year: 6th Annual Parking Lot Sale & the Classic GM Car Show.